Get your HairConfirm® Hair Drug Test at your local CVS Pharmacy® store. HairConfirm® 10 Drugs Tested screens for ten of the most widely abused illegal drugs. These drugs, also known as illicit or street drugs, aren’t usually prescribed by a doctor. 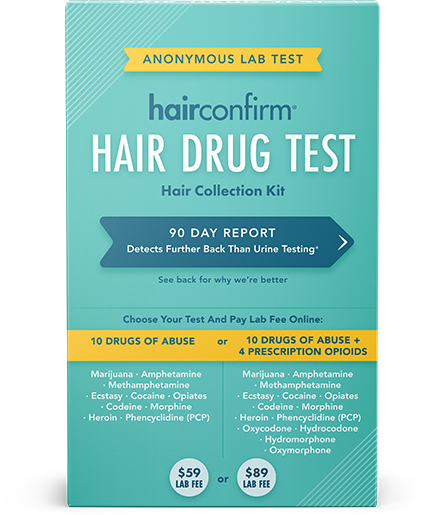 HairConfirm® 14 Drugs Tested screens for ten most widely abused illegal drugs plus the four most commonly abused prescription drugs. Our CLIA lab quantifies drug levels and provides a 90-day lens into substance use. Register with your private Specimen ID info for confidential results in generally 3-9 days. HairConfirm® works even when dyes and bleaches are used on a hair sample. Build trust at home, protect your child’s safety, and initiate meaningful conversations. 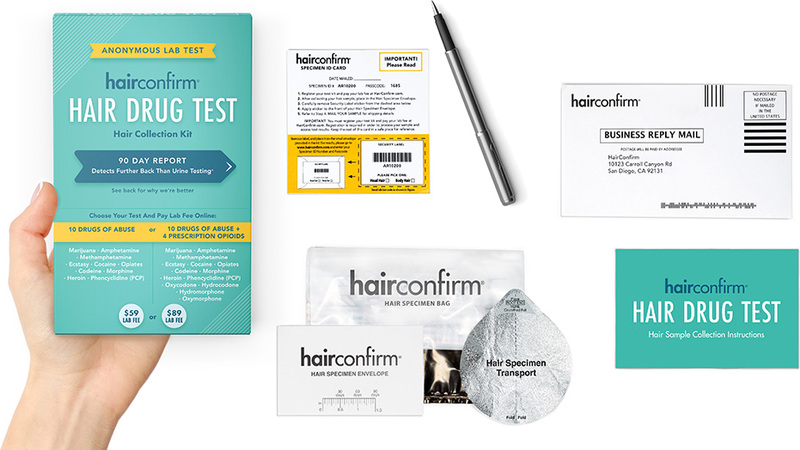 HairConfirm® Hair Drug Test Collection Kit is available for purchase at your local CVS Pharmacys®. Register your collection kit online, collect your hair sample, and mail your sample with the included pre-paid envelope. Receive your confidential results online through your secure portal. Results are available 3-9 days after mailing the sample. Thanks to this test, we were able to monitor marijuana abuse among our kids without going to laboratories. We simply do it at home, so our family's privacy is fully protected. I like the confidentiality of it. Was testing my son and didn't want the whole world to know. I know there are instant results kits for this kind of thing but I'd rather have the peace of mind of a lab test. The collection is easy and, of course, putting the sample in the mail and sending it away is easy, too. This product will really help parents in the fight against drug use in their homes. I didn't even need to use this kit to find out that my daughter was doing drugs. As soon as it showed up in the mail and she realized what was coming, she fessed up to using not only weed but ecstasy, too. We did the test anyway because we were curious to see if it would work accurately and it did. Im very pleased. As a small business owner I use this as part of my pre-employment screening process. It is simple to use and I receive fast results via email and web links. I like that the kit includes a prepaid envelope for shipping the sample back to the lab.